So Simple and so stunning! 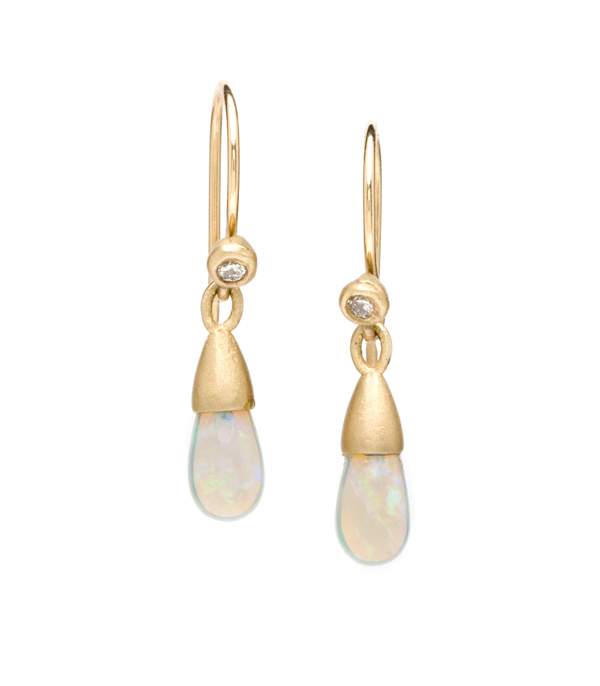 Elongated Australian Opal bead drops (2.01ctw) from Coober Pedy, Australia are accented with tiny diamond set earwires (0.06 ctw). 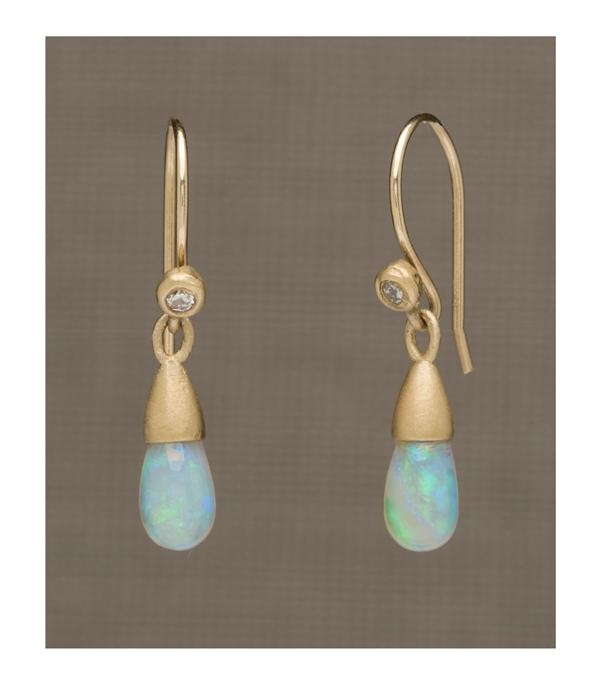 Since ancient times, opal has been regarded as the luckiest and most magical of all gems because it can show all colors. Legends and folklore credit opal for the most astounding traits- from falling from the sky in flashes of lightening to bestowing its owners with the gifts of preserving life to blonde hair! Whatever legends profess, there can be no doubt that the world of colors within a single opal drop is nothing short of nature’s magic! Crafted in 14K yellow gold.